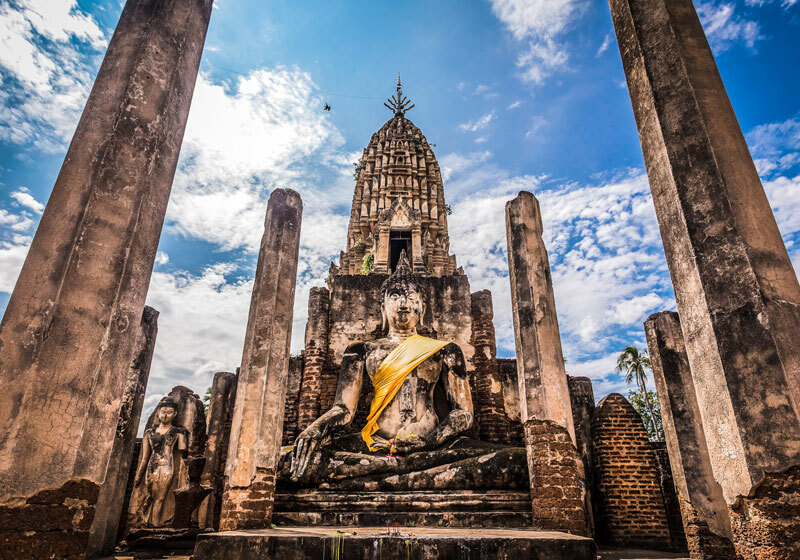 The Si Satchanalai Historical Park is a historical park in Si Satchanalai district, Sukhothai Province, northern Thailand. The protection of the area was first announced in Volume 92, Part 112 of the Royal Gazette on August 2, 1961. In 1976 the restoration project was approved, and in July 1988 the park was officially opened. On December 12, 1991, it was declared a World Heritage site, together with the associated historic parks in Kamphaengphet and Sukhothai. Short Description: The Si Satchanalai Historical Park is a historical park in Si Satchanalai district, Sukhothai Province, northern Thailand. The park covers the ruins of Si Satchanalai and Chaliang.